Contrary to popular belief, raising your son to be a mama’s boy is not a bad thing. This article will explain how raising a mama’s boy is actually beneficial and what benefits you can expect for your little boy when he grows up and becomes an adult. And there is even scientific evidence to prove it! Mama’s boys are often perceived as weak, spoiled, insecure, and fully dependent on their mothers. But this is not true at all. On the contrary, boys that are cared for and attached to their mothers develop a great sense of security. They become emotionally stronger and more independent as they grow up. Unfortunately, believes and social accepted practices are two different things. We want our kids to be independent as soon as possible; we don’t want them to cry, or come to mommy for help a thousand times a day. We want them do their own “stuff” all by themselves. And of course the opinions and advice from other people: “let him cry so he can learn”, or “leave him alone so he gets used to it”, “you are not going to be able to help him always”…. Worse than all of the above is the fact that if your child is a girl, it is more sociably acceptable for her to be very attached to you. But if you have a boy: Oh no! He is definitely a “mama’s boy”. And then we feel guilty if we have a mama’s boy because we worry that it might not be a good thing. Mothers worry all the time. But in this case, rest assure this is totally fine. And if you are interested in knowing more about what mothers worry about the most, check out my Top 5 Reasons Why Mothers Feel Guilty All The Time post. There’s actually scientific proof that the close mother-son bond is healthy and beneficial. A study done by the University of Reading, shows that the mother-son relationship is ket to emotional development. This was an analysis of more than 69 studies featuring more than 6,000 children. The researchers found that kids, especially boys, who have secure attachments to their mothers tended to have fewer behavioral problems throughout their childhoods. The study also showed that these kids were expected to display fewer signs of aggression and hostility later on in life. They were, it stands to reason, more adaptable, more patient. Mothers of both sons and daughters should worry less about getting caught up in “perception” and what other people think. Boys and girls have equal needs and have equal feelings. Why are we still making differences on how we are “supposed” to raise boys? 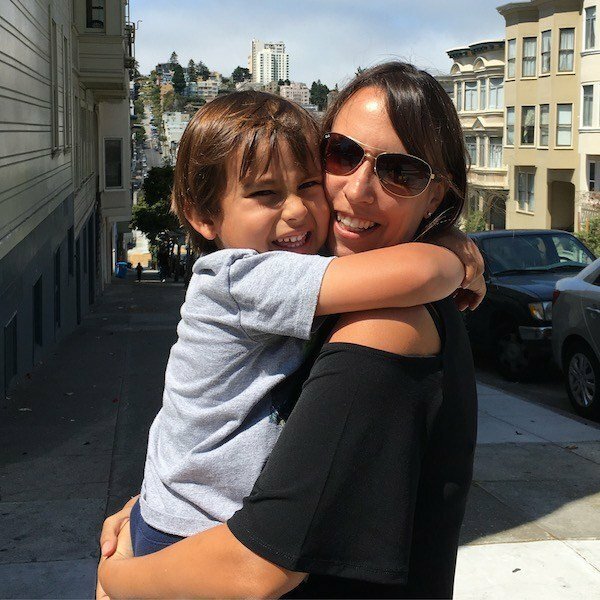 I am raising my son to be a “mama’s boy”, and I am very proud of it. I want to make sure he knows it is ok to cry and have feelings. I want to teach him it is ok to show his emotional side. Attachment gives children a sense of security. It makes them feel protected and accepted unconditionally. The bond made by mothers and their children have very unique characteristics, and are extremely important for all human beings. 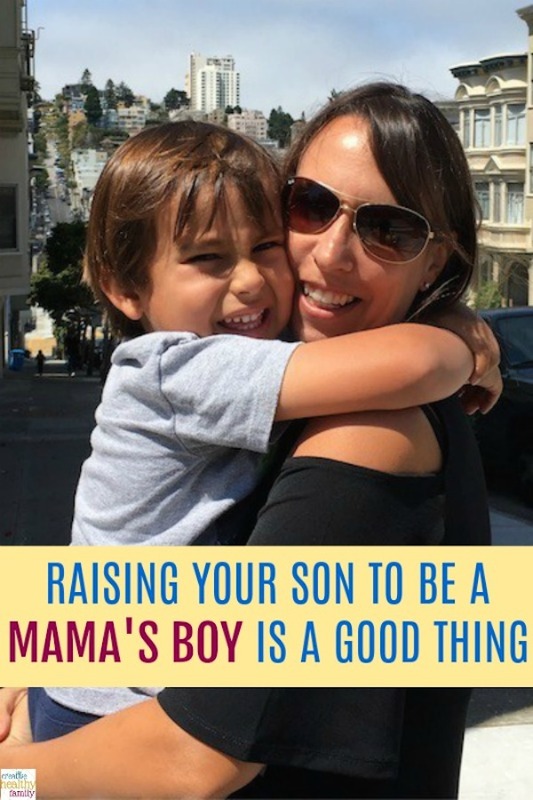 So, are you raising your son to be a mama’s boy? If you suspect your son is a mama’s boy, be thankful. He will most likely grow up happier and more emotionally secure. Being a mama’s boy is a good thing! Mothers have a very unique connection with their kids. Want to learn more about it? Check out my The Reason Why Children Are 800% Worse When Their Mothers Are Around. If you are also interested in reading more about my blog, please take a look at my latest articles. I am a mom blogger who loves to share creative and healthy fun family ideas. There is nothing harder than being the wife of a mama’s boy! Mama will always come first. Mama is always right. Nothing you do will ever measure up to mama. Mama does it this way… UGH!